This photograph was taken at a fete in the 1970s. there was obviously a Victorian theme! 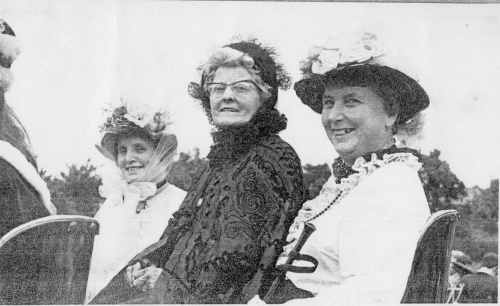 The ladies are (left to right) Nancy Stirling, Mrs Scott and Phyllis Field. See also artefact 194 which was taken at the same event. Missing information: We have no details of this event. Can you supply names or event date?